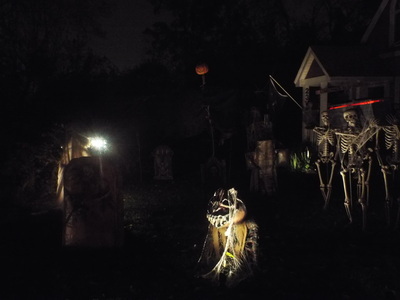 Dead End Cemetery is a very nicely done yard display that we first visited in 2012. We weren't able to make it in 2013, so we made a point of visiting in 2014, and we're happy to say it's just as good, if not better than before. Located in a cul de sac, Dead End Cemetery immediately presents a creepy, isolated vibe, especially when visiting later in the evening. 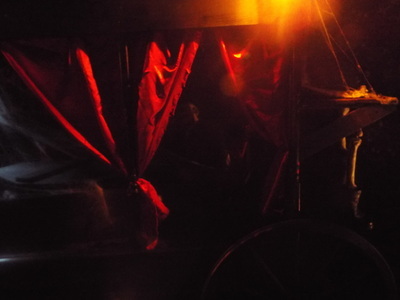 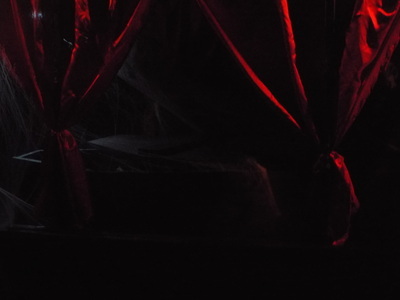 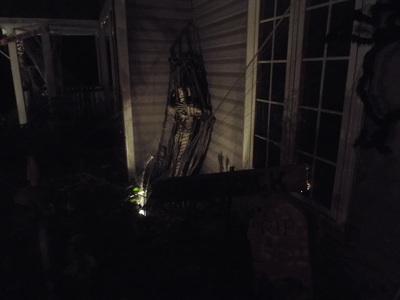 The creepy feeling is heightened by the effective lighting, which bathes the various parts of the display in shadowy lighting, highlighting some parts and silhouetting others. 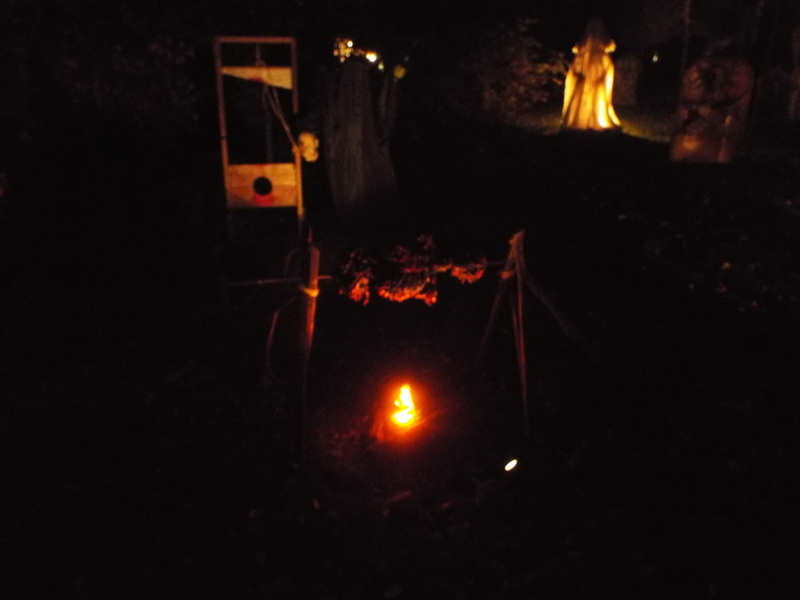 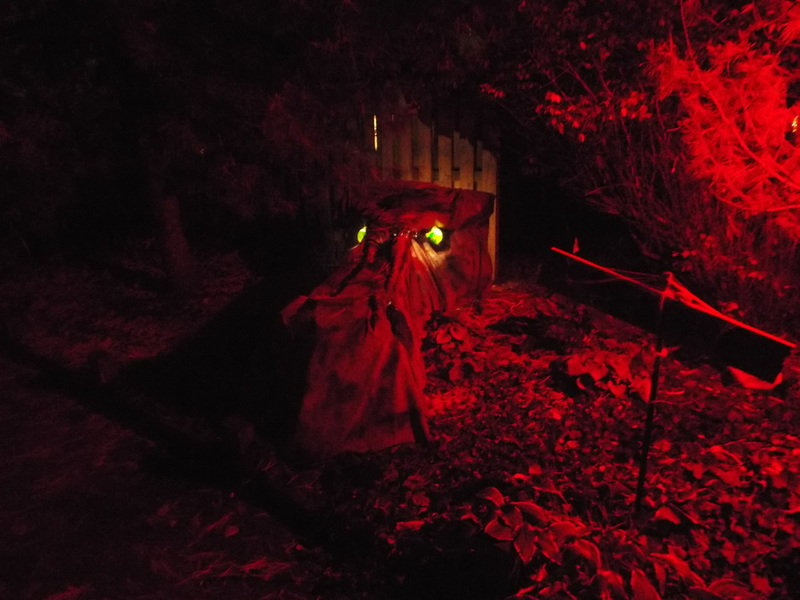 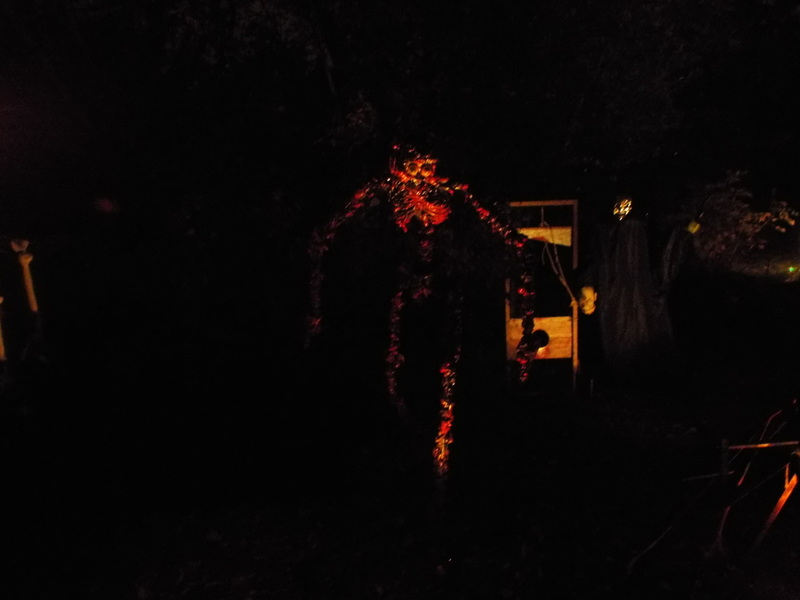 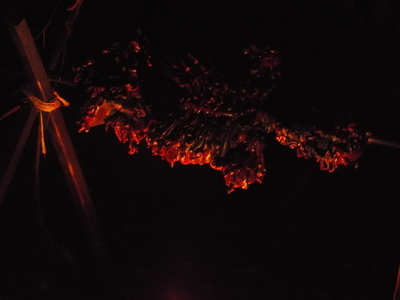 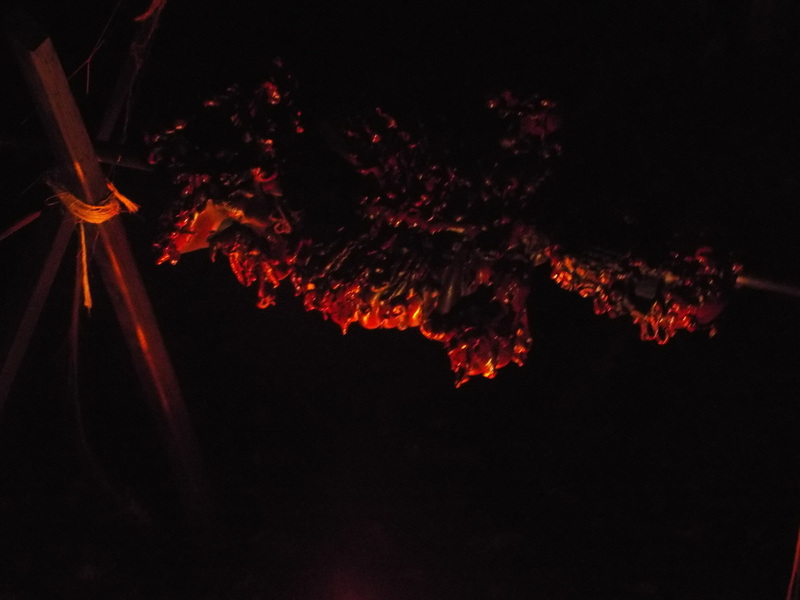 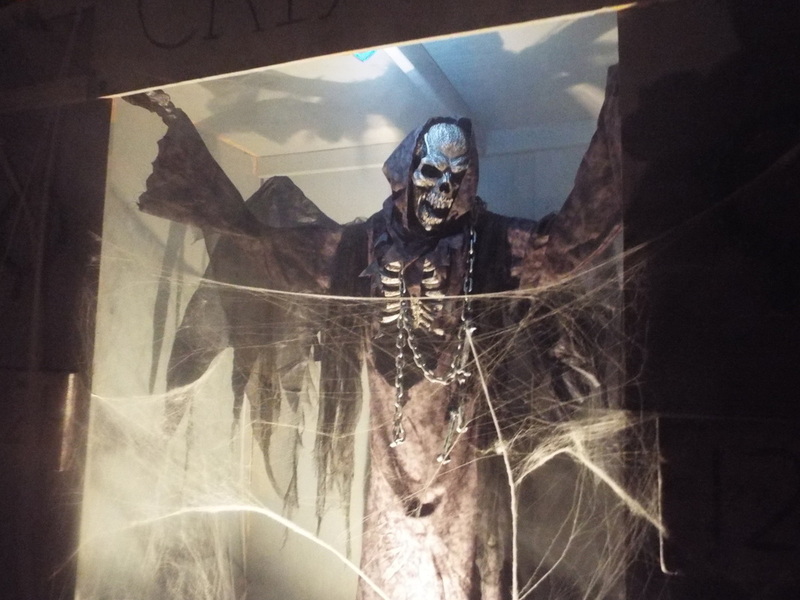 Highlights of this year's display included a giant dragon head with glowing eyes that billowed smoke as visitors walked past, and a winged demon named Crixus who was imprisoned in a crypt. 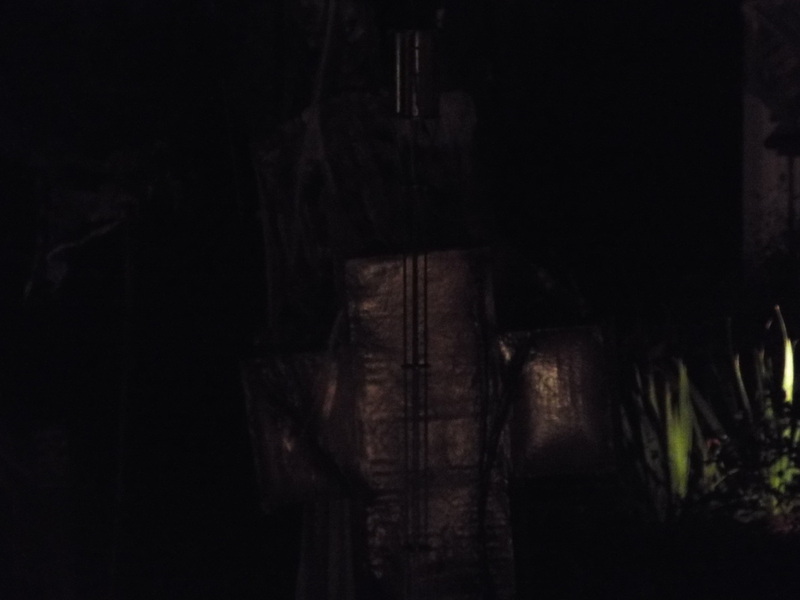 Walking by Crixus would cause him to come to life and issue threats, and seeing him in full motion in the dark light was effectively spine tingling. 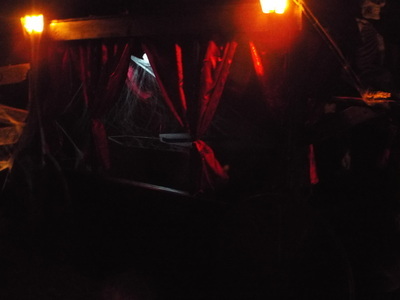 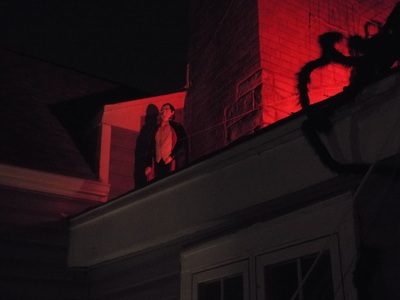 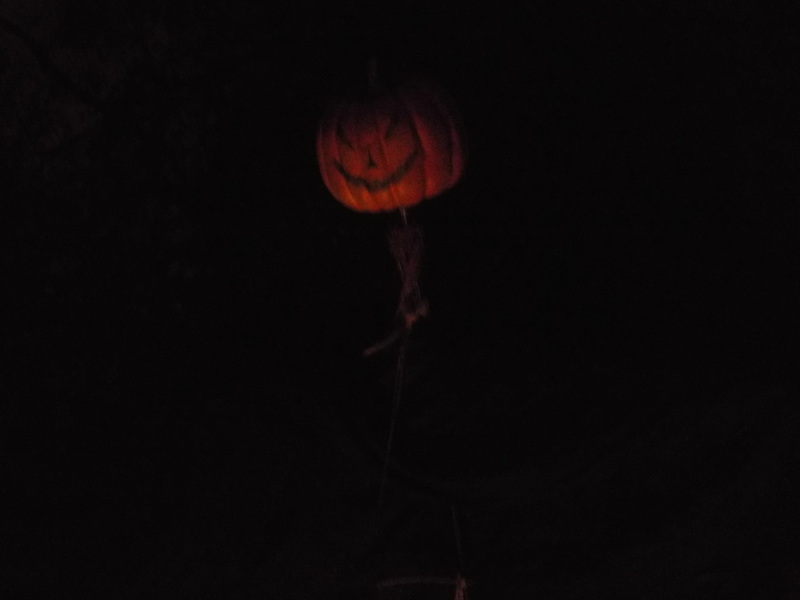 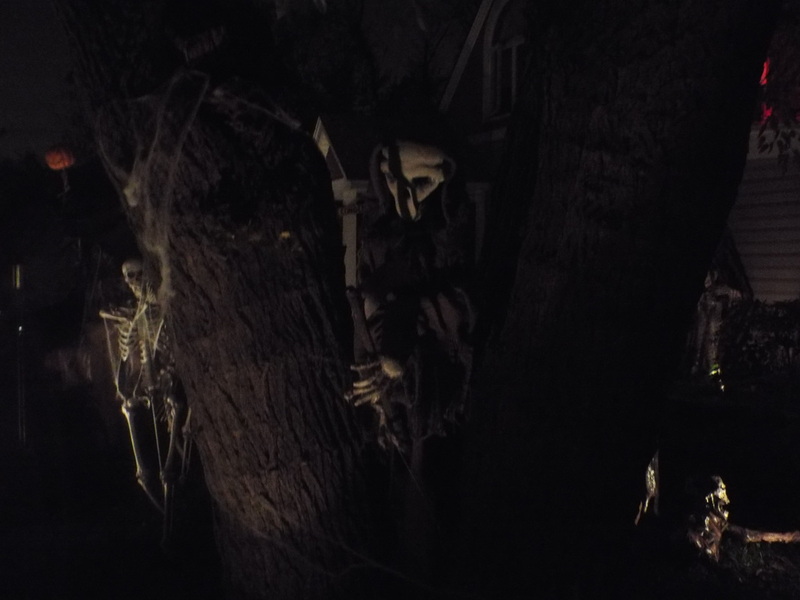 Other highlights included a large antique funeral carriage, a burnt body on a rotating spit, some giant spiders on the side of the house, and a plastic vampire figure on the roof that looked a bit like Bela Lugosi. 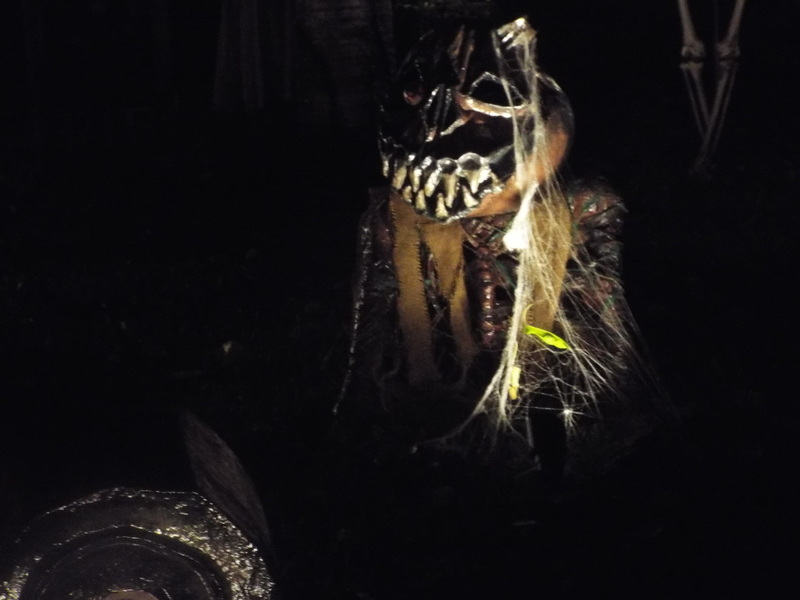 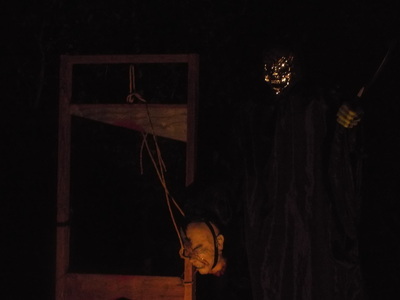 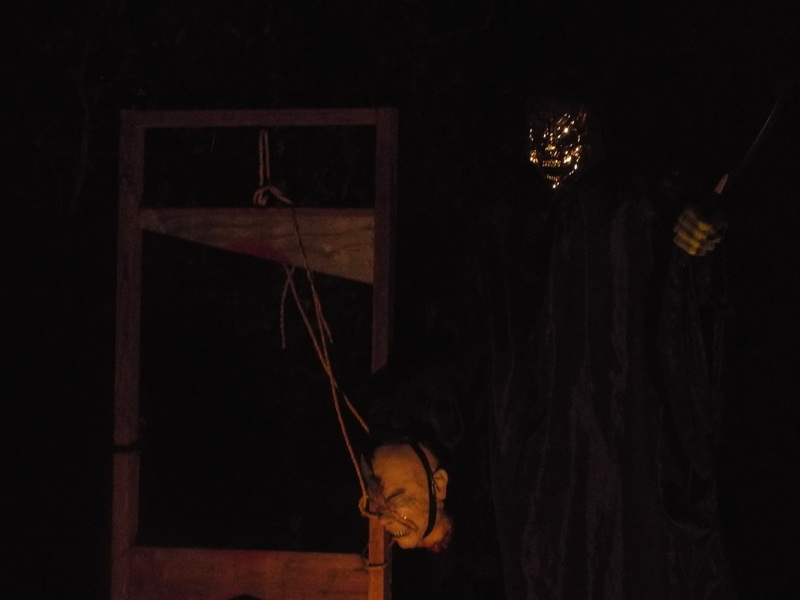 Many of the figures here seem to be homemade, and several, like the dragon head, offer something a little out of the ordinary as opposed to your standard Halloween props. The best part of the entire setup is the atmosphere, which is certainly made even better by the location of the display. 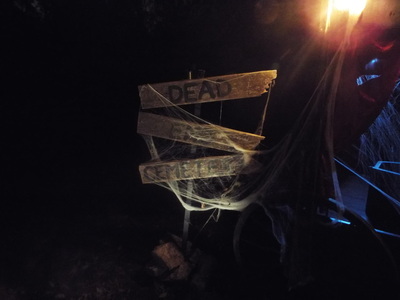 Since Dead End Cemetery really is located on a dead end, it tends to be quiet and off the beaten path, which gives the feeling that visitors are actually stumbling across some truly abandoned location that they should be visiting. 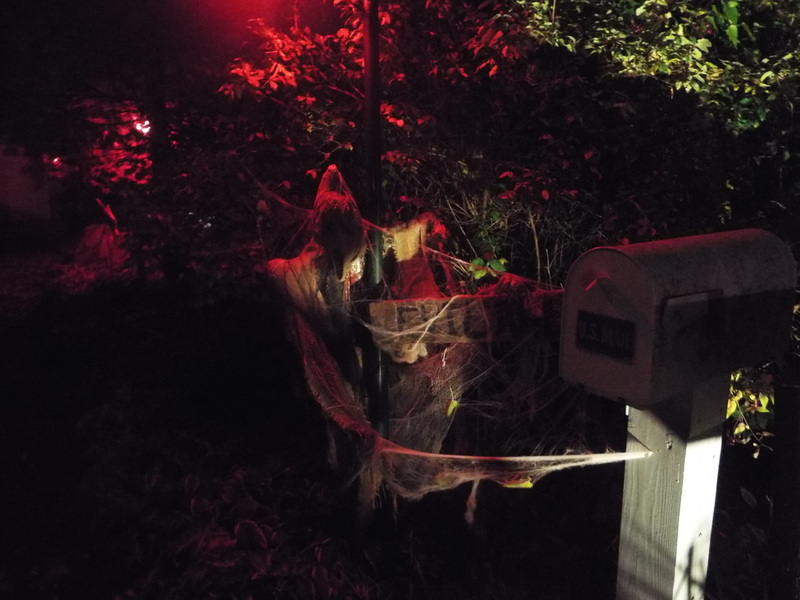 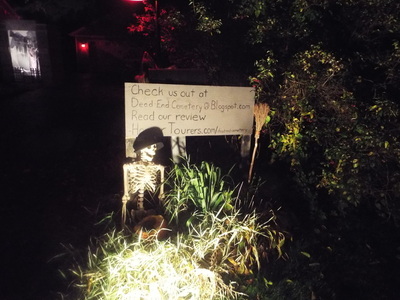 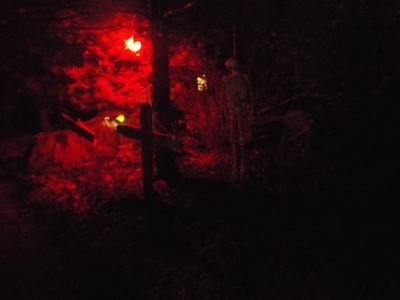 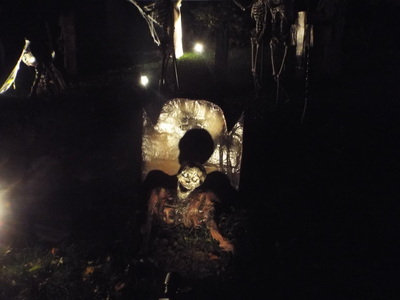 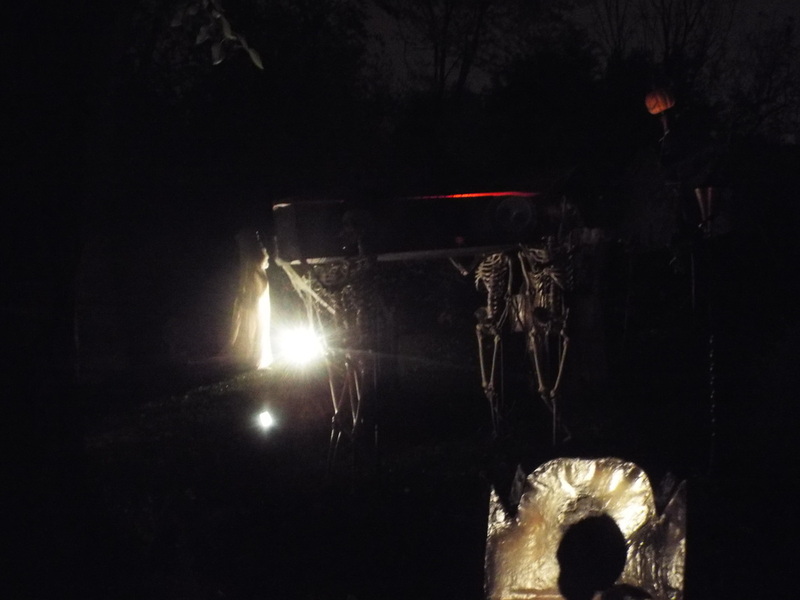 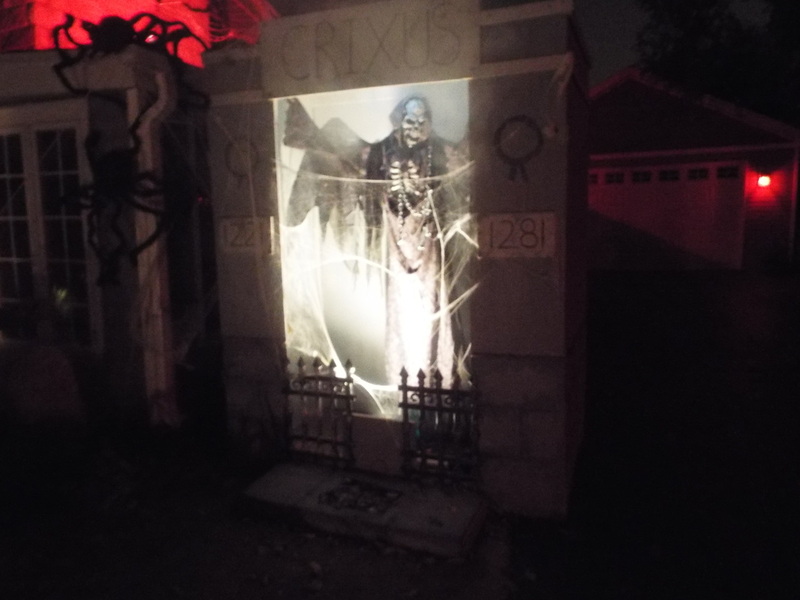 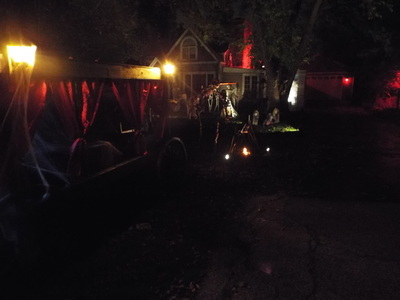 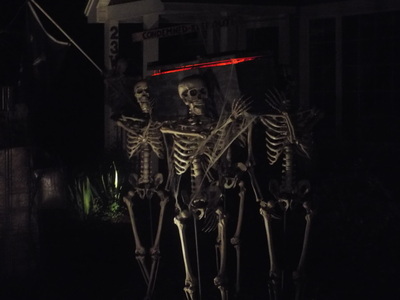 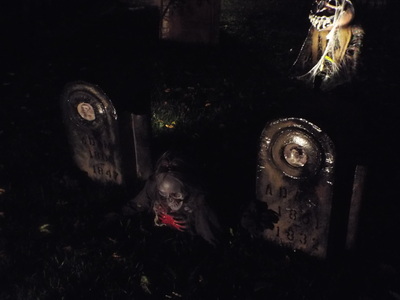 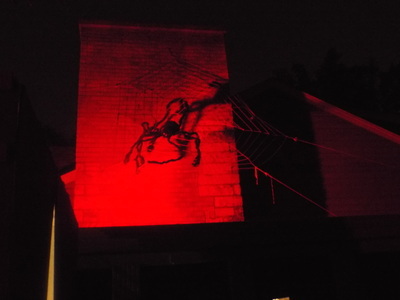 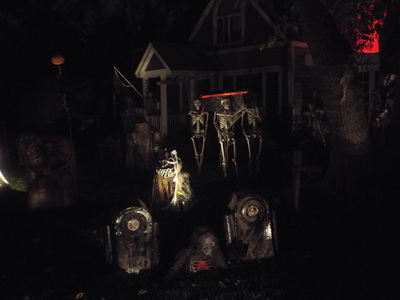 We'd recommend Dead End Cemetery for anyone who is a fan of creative yard displays.